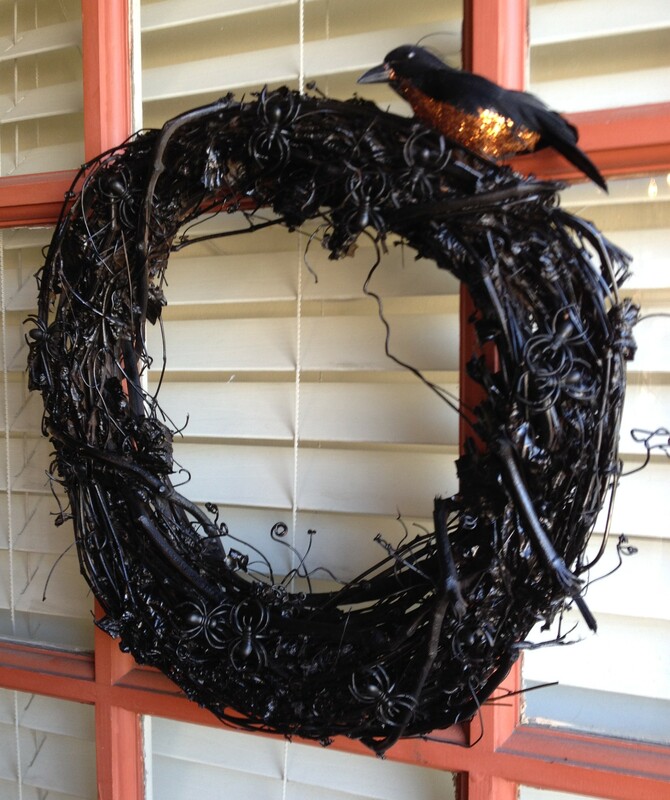 Spray paint a plain grapevine wreath (and rubber snakes if you choose to use these) with Krylon indoor*outdoor spray paint in black satin. If using snakes, tie on with black floral wire. The spiders I used were the plastic kind on rings so I just pushed the ring part in to the vines. For a more secure method I would use a drop of glue to keep the spiders from falling out. Hang your dark, creepy wreath on your front door and enjoy! 07 Oct	This entry was published on October 7, 2013 at 7:58 am. It’s filed under Decor, DIY and tagged DIY Halloween Wreath, Grapevine Wreath, Halloween Snakes, Halloween Spiders, Martha Stewart Halloween Wreath. Bookmark the permalink. Follow any comments here with the RSS feed for this post.